Pregnant and still grieving the death of her fianc , historian Megan Buchanan is forging ahead on a dream project: to restore to its original glory the landmark hunting lodge her own great-great-grandfather built on Virginia's Eastern Shore. With the help of her fianc 's caring best friend, it's sure to draw much-needed tourist revenue to Cape Hudson, a town rich in southern history. 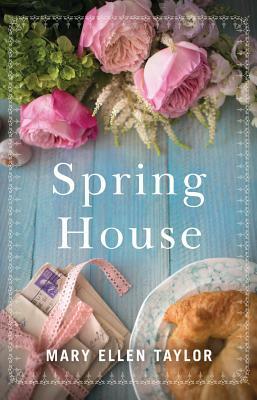 However, it's Spring House, the caretaker's cottage on the grounds, that holds the most intriguing history for Megan. In a cache of old letters, she's drawn into the captivating life of a young woman who embarked on her own dream adventure a century ago. With each one, Megan is swept away into her enthralling world--and all its secrets. But Megan has secrets too. Now, as one woman's past unfolds in each revealing letter, Megan will discover more about herself and about the emotional tides of family that can be weathered with those you love and trust the most.